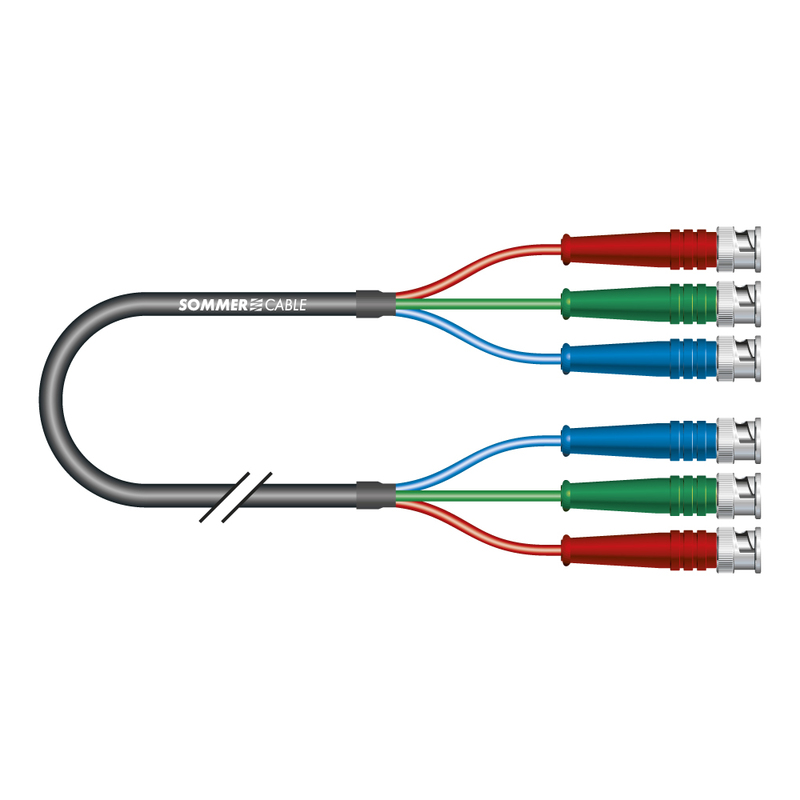 SOMMER CABLE has a range of premade 75 Ω video multicores for different applications. 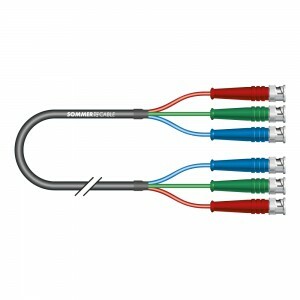 With the mini-coaxial Transit Mini Flex (black cable colour) we offer a flexible type for patch applications that is suitable for an error-free transmission over distances of up to 30 m. The RGB coding follows from the wire colour. We use high-grade BNC connectors and sleeve supports (in the RGB colours) made by HICON.